Create a custom mousepad for home and office! Upload the photograph of your choice and Kapruka will get printed on a mouse pad. Decorate your loved ones desk with a memory of you! A customized mouse pad is a very thoughtful and loving gift. Sitting at your desk can be tedious. Add a little life to your office with a personalized mousepad. 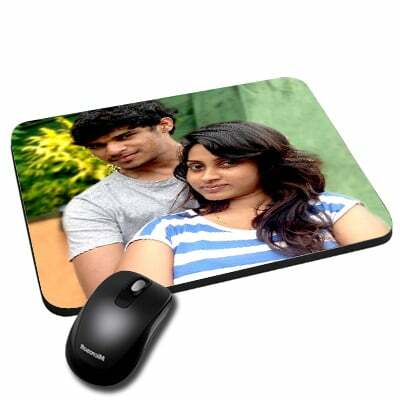 Kapruka gives you the opportunity to have a personalized mouse pad created with a favorite photo which will surely make your loved ones smile.